Sioux Chief Mini-Rester Water Hammer Arrestor (660-TCO) is used for eliminating of water surges in ice maker or water filter tube lines. 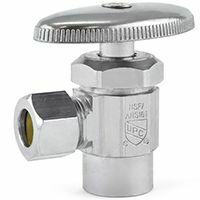 It has (2) o-ring piston for control water hammer, which separates a pressurized cushion of air from the water system what prevent the air charge from being lost. 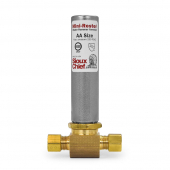 The Water Hammer can be installed at any angle. 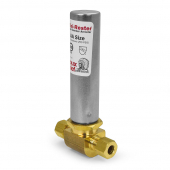 The mark "No Lead" comply with national, no lead product material requirements and also comply with NSF-61, which allows the product to contain no more than 0.25% lead. 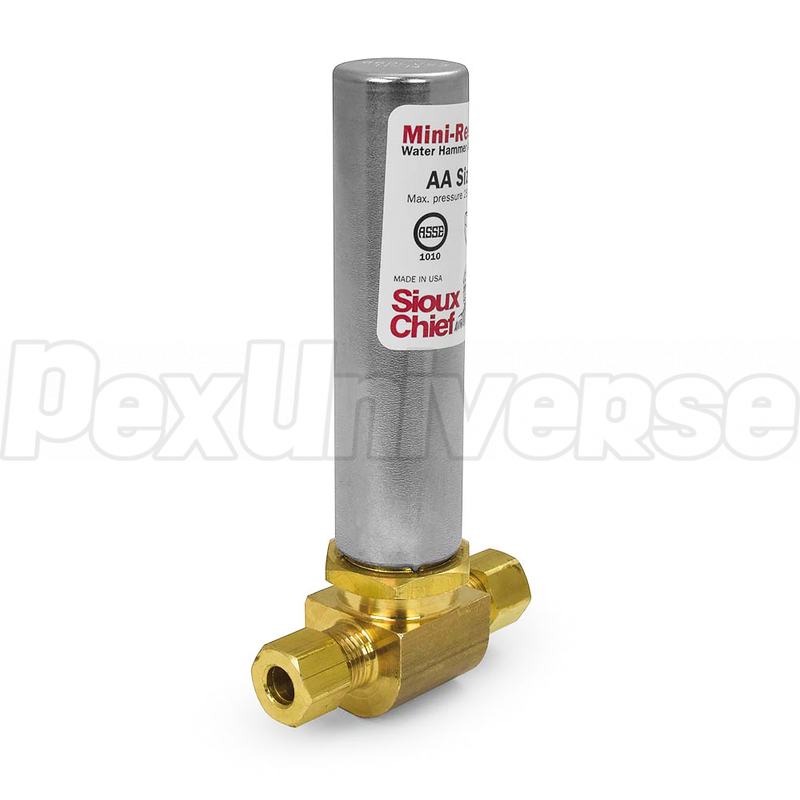 The Water Hammer Arrestor (660-TCO) is made precisely for Ice Makers. It comes with 1/4" compression connections to go on the 1/4" OD copper lines. Materials: body is copper tube, piston is poly piston with two EPDM o-rings, piston lubrication is Dow-corning, 111 FDA approved silicone compound.